Why Is My iPhone Battery Yellow? Here's The Fix. 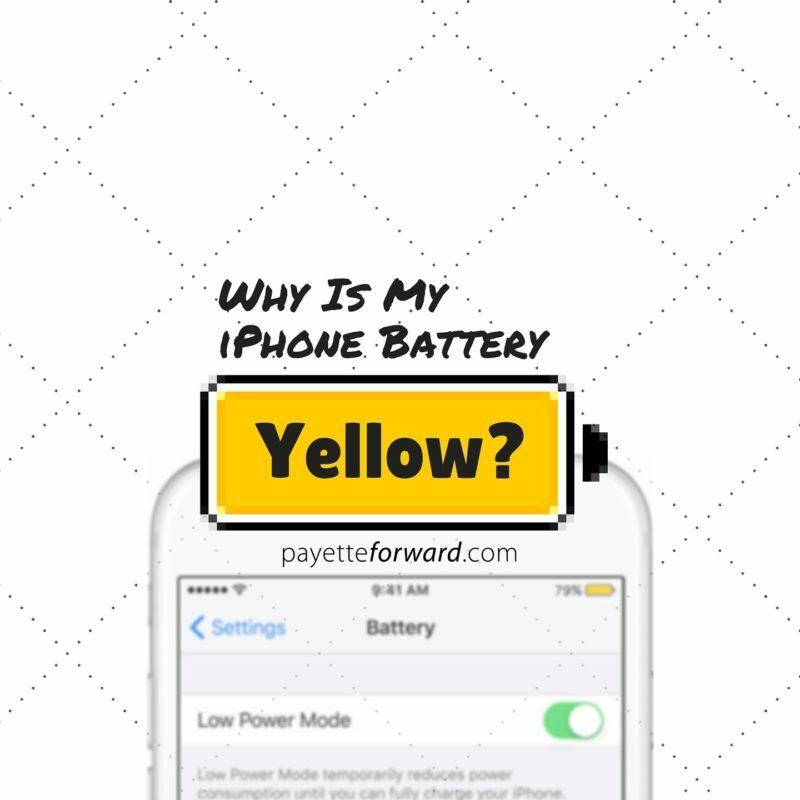 You are at:Home»iPhone»Why Is My iPhone Battery Yellow? Here’s The Fix. Your iPhone is working perfectly, but the battery icon on your iPhone has suddenly turned yellow and you don’t know why. Don’t worry: There’s nothing wrong with your iPhone battery. 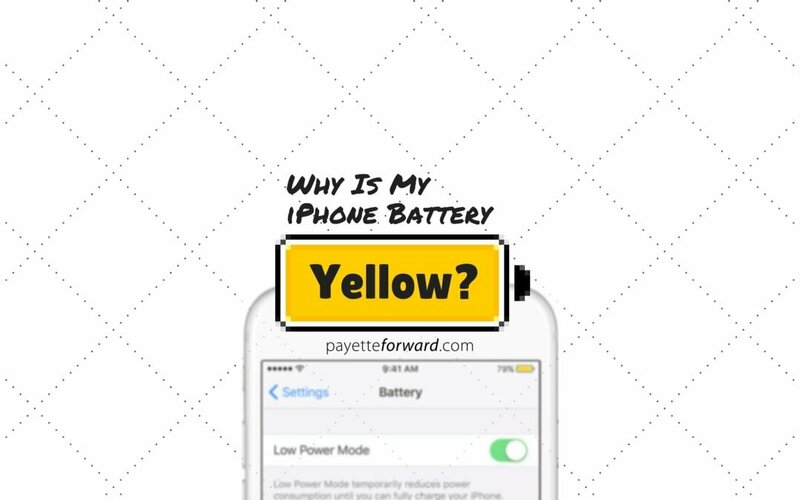 In this article, I’ll explain why your iPhone battery is yellow and how to switch it back to normal. 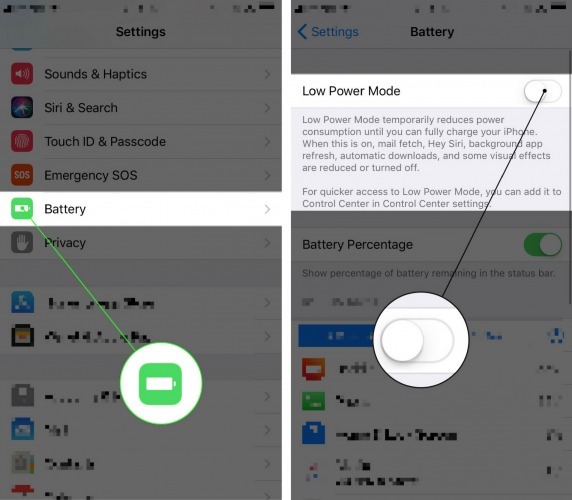 Low Power Mode is not a fix for iPhone battery issues – it’s a band-aid. My article called Why Does My iPhone Battery Die So Fast? explains how to permanently fix battery problems by changing a few settings on your iPhone. If you’re traveling for a few days and don’t always have access to a charger, Amazon sells some external battery packs that can really come in handy. How Did My iPhone Battery Turn Yellow In The First Place? When your iPhone battery reaches 20%, a window appears on your iPhone to warn you that your battery level is getting low and asks if you’d like to turn on Low Power Mode. Your iPhone battery turns yellow as soon as you tap Turn On. Low Power Mode automatically turns off when you recharge your iPhone battery past 80%. Your iPhone battery is yellow because Low Power Mode is turned on. To change it back to normal, go to Settings -> Battery and tap the switch next to Low Power Mode. Low Power Mode turns off automatically when your battery level reaches 80%. If your iPhone is running iOS 11, you can add a button and toggle Low Power Mode on or off in Control Center. It’s easy to think that something is wrong with your iPhone when its battery turns yellow. After all, yellow means caution or warning in other areas of our lives. Remember to check out my article about how to save iPhone battery life if you’d like to avoid low power mode entirely. You had no way of knowing that a yellow iPhone battery icon is a normal part of iOS 9, because it’s a brand new feature and Apple didn’t give anyone a heads up. I won’t be surprised if Apple adds an informational window that explains why the user’s iPhone battery is turning yellow to a future version of iOS. Previous ArticleiPhone Stuck In Recovery Mode? Here’s The Real Fix. Next Article My Apple ID Is Disabled! Here’s The Real Fix.